Applicants who have completed M.E / M.Tech. (Electronics / Instrumentation & Control/Advanced Instrumentation Engineering / Electronics & Instrumentation) PhD (Engg.) / M.E / M.Tech. 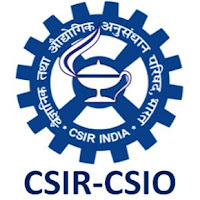 (Bio engineering / Medical Science & Technology / Medical Imaging / Bio-informatics) or equivalent from a recognized Institute for CSIR Recruitment 2018. Complete the CSIR Jobs Application Form with the essential data.